An authoritarian government; violent crackdowns on civilian protesters; mothers burying their teenage sons killed by members of the army; people queuing from three in the morning in front of supermarkets to buy food; patients dying due to a lack of medicine; an economy with the highest inflation rate in the world; and an unprecedented refugee crisis — No, this is not Syria or Yemen, but Venezuela. Venezuelans have suffered unspeakable hardships since the death of former president Hugo Chavez. But how did a country with the largest oil reserves in the world end up becoming a bankrupt failed state? How did that happen? It is simply impossible to study contemporary Venezuela without first accounting for the strong impact Chavez had on the citizens and the country itself. 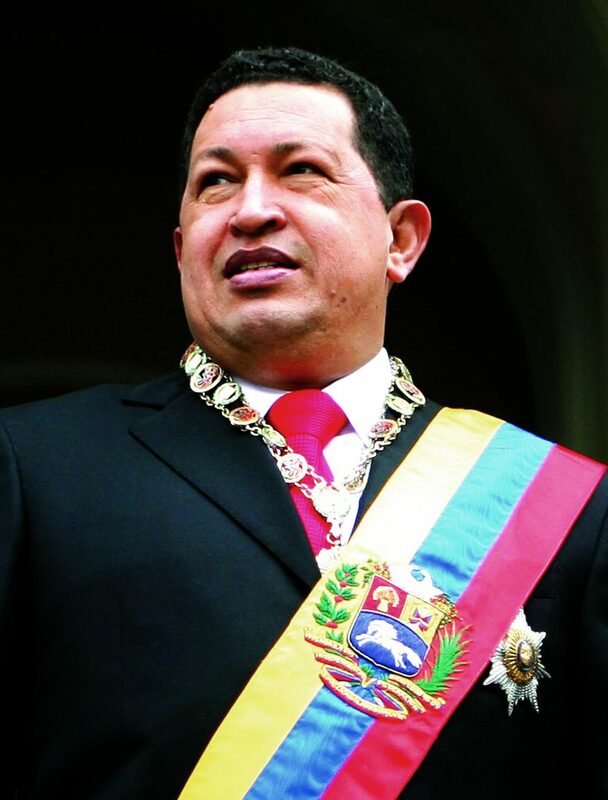 Better known in Venezuela as El Comandante (the Commandant), Hugo Chávez Frías served as Venezuela’s president from 1999 until his death in 2013, soon after being elected for his third term. During his presidency, Venezuela’s unemployment rate halved; income per capita more than doubled; the poverty rate fell by more than half; education improved; and the infant mortality rate declined. Born into poverty himself, Chavez understood the struggles of the working class and vowed to replace the corrupt elite then in power with a socialist government that would work solely in service of the people. In the 1990s, most Venezuelans placed little trust in their country’s public institutions and judicial system. Corruption was rife, and the violent repression of protestors by the state was commonplace. Chavez, then an army lieutenant colonel, aimed to change the system and staged a coup in 1992 against the government of President Carlos Andrés Pérez. Although the coup ultimately failed, it legitimized Chavez as the voice of the disenfranchised. Following a two-year prison sentence for his role in the coup, Chavez won the 1998 presidential election with 56 percent of the vote. Chavez consolidated the power of populism in Venezuela. He promised free healthcare and housing for the poor, government-run aid programs, investment in infrastructure, and massive wealth redistribution programs. He also denounced the so-called Washington Consensus. Chavez’s socialist policies and personal charisma made him the most popular leader in Venezuela’s recent history. Wherever Chavez would go, his supporters, called Chavistas, would follow and paint the streets like a red ocean, the color of Chavez’s party and historically the color of the left. He called his movement the Bolivarian Revolution, named after Simón Bolívar, a revolutionary Venezuelan leader who championed much of South America’s independence from Spanish rule in the nineteenth century. Chavez had a clear goal: he wanted this revolution to take over the entire region. Chavez also gained popular support as a result of his deep respect for the electoral system. He used his profound knowledge of the electoral process to consolidate his legitimacy both at home and abroad. Chávez submitted himself to fourteen national votes, winning thirteen of them by large margins, in polling which former US President Jimmy Carter deemed in 2012 to be the “best in the world” of the ninety-two elections that he had monitored. Chavez even allowed his opposition to run a recall referendum against him in 2004, only two years after surviving an attempted coup. He won by a significant margin. Despite his popular support, many dissenters were unhappy with Chavez’s socialist policies and vision for the future. While the working class received countless benefits and saw their livelihoods improve dramatically and the nouveau riche benefit from close links to the government, the middle class was largely left behind. Those who were perceived to be well-off and unsupportive of the government faced discrimination and several fled to neighboring. Those with European ancestry quickly applied for EU passports, Spain being the top country of choice. Chavez had a strong message, a charming personality, a compelling vision, and a profound connection with his supporters, but the combination of these elements never proved enough to truly make a long-term success of his country. Certainly, Chavez’s desire to advocate for the redistribution of wealth and greater equality was sound and drew popular appeal. He understood that access to education, affordable housing, and universal healthcare were necessary for the nation to thrive. However, the means by which he sought to achieve these ambitious goals were fundamentally flawed from the outset and have arguably precipitated the current economic and political crisis that Venezuela faces today. Independent of his character, message, background, and vision, Chavez was acutely aware that his socialist revolution could not endure without one crucial ingredient: high oil prices. Chavez unreservedly relied on the income generated by high oil prices to keep his promises to his supporters. By doing this, he hoped to boost domestic consumption, which in turn would further increase his power at home and abroad. However, this revenue did not translate into a rise in productive domestic investment as Chavez had hoped. As the government quickly plunged into debt, it spent and borrowed massively to compensate for its deficit in the short term. Regrettably, the government never contemplated a long-term strategy on the off chance that oil prices would decline. This is exactly what happened in 2014. Between Chavez’s election in 1998 and 2017, Venezuela’s overall oil output declined by 53 percent. This decline is problematic given that oil still accounts for about 95 percent of Venezuela’s export revenue. Chavez’s moral aspirations to stimulate Venezuela’s economy for the benefit of all resulted in an economy dependant on oil. Unpredictable fluxes in oil prices jeopardized the national economy, as well as a large working class population that consequently became reliant on government assistance. Following a difficult decade of economic stagnation, oil prices unforeseeably plummeted and Venezuela’s economy collapsed. Prior to the collapse of oil prices, Venezuela experienced an equally (or, some would say, even more) devastating and unforeseeable event in 2013: the death of El Comandante. The public was vaguely aware that Chavez had been undergoing cancer treatment prior to his death, but the government explicitly withheld specific details about his health. As a result, Nicolas Maduro’s public announcement on March 5, 2013, that their beloved Comandante had passed away came as a tremendous shock to the public. Shortly before his death, Chavez had named Maduro as his successor. But Maduro was no Chavez and would never be a comparable leader. Contrary to Chavez, Maduro lacked charisma, oratory talent, deep passion, vision, and a strong connection to his people. Despite claiming to have run on the same socialist platform as his predecessor, Maduro was unable to galvanize the same amount of popular support. He won the 2013 presidential election by a slight 1.5 percent margin. By then, Venezuela lacked two fundamental factors that had kept it going for more than a decade: its revered leader and high oil prices. To make matters worse, the country’s fate was now placed in the hands of a leader who had yet to prove his governing abilities. Amidst pressure to carry out a socialist agenda in line with Chavez’s, Maduro now had to deal with a mourning working class population, a frustrated middle class, an economy on the brink of collapse, and low approval ratings — even among Chavistas. Today, Venezuela has the world’s worst inflation rate, second-worst unemployment rate, third-worst murder rate and, according to Transparency International, eleventh-worst corruption score. The UN estimates that, since 2015, 1.9 million Venezuelans have fled the country and that some 5,000 are leaving daily. The massive refugee movement has overwhelmed neighboring countries to the extent that asylum applications in Latin America have increased by 2,000 percent since 2014, according to a report by the Office of the United Nations High Commissioner for Human Rights (OHCHR). The same further explains that the main driver forcing Venezuelans to flee their country were related to threats from armed groups; fear of being targeted one’s political opinions; threats and extortion; high crime rates; domestic violence; food insecurity; as well as lack of access to adequate health care, medicines, and basic services. This is not surprising given the empty supermarket shelves and lack of availability of everyday goods such as bread, eggs, and sugar. People queue outside shops, sometimes all night, to be first in line to buy what few supplies are available. Venezuelans have even created social media pages and groups to trade goods and medicines and to notify each other when certain products become available. However, even if these items are available, they are unaffordable to the average citizen. Consumer prices have risen 46,305 percent this year alone. Moreover, the IMF predicts that inflation will surge to 1,000,000 percent (yes, that’s six zeros) by end-2018. To make matters worse, lack of adequate food and healthcare has translated in one of the most pressing humanitarian situations unfolding in the world. The many hospitals that Chavez had built over the past decade are now empty. They lack even the most basic equipment and supplies to treat patients. According to government data, in 2016 alone, maternal mortality increased 65 percent, infant mortality 30 percent, and malaria cases 76 percent. Everyday Venezuelans are dying because they cannot get treatment. Venezuelan morgues and funeral providers are overwhelmed. The lack of medicine has also meant a shortage of contraceptive pills, which has led to Venezuela now having the highest rate of teenage pregnancies in Latin America. Even in rare cases when contraceptive pills are available, one box can cost up to one to two months of an average worker’s salary. A dictatorship in the making? In addition to the horrific humanitarian crisis in Venezuela, Maduro’s government has made life for citizens even more miserable by ordering violent crackdowns on protesters and opposition groups. Most opposition leaders are now either jailed, exiled, or barred from holding office. 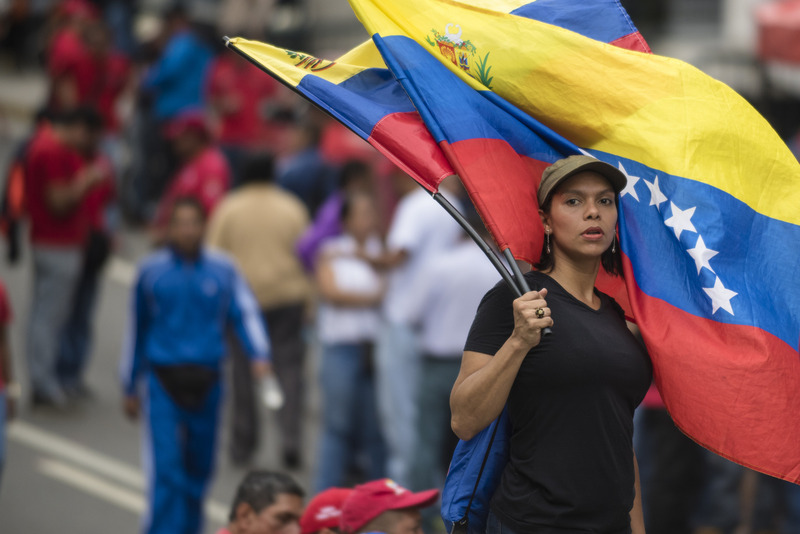 Despite this, large waves of protests have broken out in Venezuela’s major cities. But Maduro doesn’t take such opposition lightly. Those taking part in the protests are constantly being arrested by the military and subsequently attacked, tortured, or disappeared. According to the Office of the United Nations High Commissioner for Human Rights (OHCHR), more than 12,000 people have been arbitrarily detained since 2014, with at least 570 people, including 35 children, detained in the period of 9 months between August 2017 and May 2018 alone. Many protesters have also been executed by the security forces under Maduro’s control. 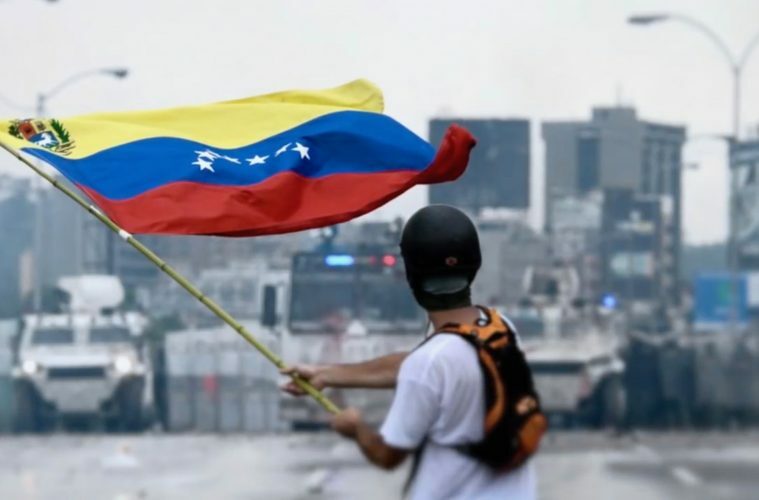 As a result of the increasingly deteriorating security situation in the country, Argentina, Chile, Colombia, Paraguay, Peru and Canada urged the International Criminal Court (ICC) last month to start an investigation into the Venezuelan government’s crimes. This is the first time countries in the region take an official multilateral stance on the international stage regarding Venezuela. Colombia, which has taken in more than one million Venezuelan refugees, also made a separate plea to the international community at the recent UN General Assembly. Colombian President Duque called for an end to the Venezuelan “dictatorship” and the “tragic exodus” of millions of people it has caused. Maduro not only has to worry about opposition from foreign states, however. The current Venezuelan president does not enjoy nearly the same level of popularity among government officials as Chavez once did. He has consistently alienated his own political base. Moreover, Maduro’s increasing reliance on handing out cabinet posts to military officials further supports the argument that he is struggling to remain in control. Chavez never pursued this course of action because the military consistently backed him during the failed attempted coup, as well as throughout his time in office. To be able to rely on the military as a way to consolidate his power, Maduro is convinced that he must continue to offer them positions they are completely unqualified to hold. These inappropriate job allocations further perpetuate the government’s misguided decisions to enact policies that benefit a few individuals at the expense of the public, ultimately exacerbating the country’s chaos and suffering. Maduro has sought to divide Venezuela by pushing a narrative claiming that having the opposition in power would be far worse for the country, in particular for Chavistas. Moreover, unlike Chavez, Maduro is not using the electoral system to solidify his legitimacy to represent the public. He instead constantly blames the country’s problems on outside factors and maintains that the situation would be far worse were another leader in power. However, the Venezuelan people have yet to have a fair opportunity to express their real feelings towards his government. In 2016, Maduro blocked the opposition’s effort to force another election that would remove him from power. That same year, in perhaps his most unpopular move yet, he decided to set up an entirely new Constituent Assembly, comprised of his supporters, which possessed the authority to change the constitution and to dismiss existing officials and institutions. The public and international community see the vote to elect these representatives as fraudulent. In May this year, Presidential elections were held and, unsurprisingly, resulted in the reelection of Maduro with 67.7 percent of the vote. The international community widely regarded the election as a sham. The low turnout rate of 45.1 percent equally questions Maduro’s argument claiming a democratic mandate from the Venezuelan people. Such repeated manipulated elections have simply continued to push Venezuela ever-closer to dictatorship. Despite the countless criticisms levied towards Maduro, many believe that his days are numbered. Comparisons made between the governing styles of Robert Mugabe, Zimbabwe’s president whom was ousted last year, and Maduro suggest that the latter is likely to encounter a similar fate. But even if he were to be ousted and the opposition placed in power, it is unclear whether new leadership would be able to turn the situation around. The Venezuelan opposition has either been thrown in prison, put under house arrest, or fled the country. The opposition is largely seen as being internally completely divided and has failed to win the support of the majority of the working class and most of the rest of the mixed-race population. Indeed, governing after a coup, gaining the trust of the military as well as the public, and improving the economy would all be very difficult tasks. Still, things aren’t looking very bright for Maduro. Despite his greatest efforts at silencing his opponents, he is far from safe. This was made very clear on August 4, when Maduro, while giving a speech at a military parade, was targeted by two drones carrying explosives. One drone detonated above the speech venue and caused widespread panic. Maduro was quick to blame right-wing opposition forces for what he called a clear ‘assassination attempt’. Some, however, argue that this was all but a ploy by the government to use the attack as yet another excuse to further crackdown on political dissent. Whichever it is, it shows the deep divides in the Maduro government and the extent of the security crisis that has gripped the country. Besides domestic threats, U.S President Trump has repeatedly touted the idea of military intervention in Venezuela, going as far as joking how “easily” Maduro could be toppled in a military coup. Similarly, Republican Senator Marco Rubio stated that there was a “very strong” argument that “Venezuela and the Maduro regime have become a threat to the region and to the United States,” a national security threat that could warrant military action. Such threats paired with currently imposed sanctions against the Venezuelan government mark Maduro’s weak position on the world stage. Gabriela Bernal is a contributing writer to the Paris Globalist. Previous ArticleWhat does the future hold for emissions trading in the EU?